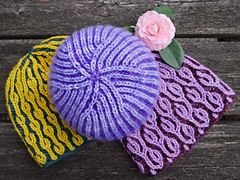 This e-book includes three hats (Clematis Seed, Golden Chain, and Heliotrope) and two cowls (Golden Chain and Heliotrope). 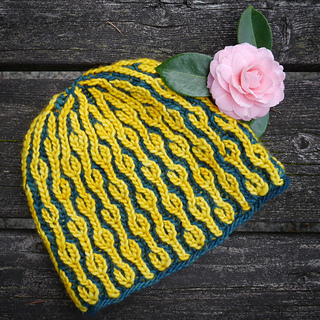 Brioche knitting is my new love! 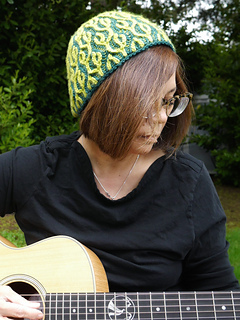 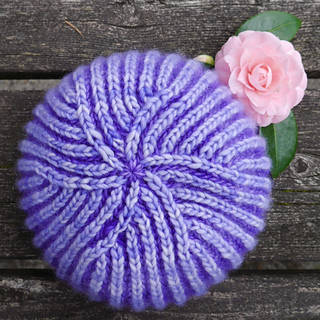 May 2018: I’ve added one more hat pattern, Brioche Pastiche, designed for my brioche in the round classes. 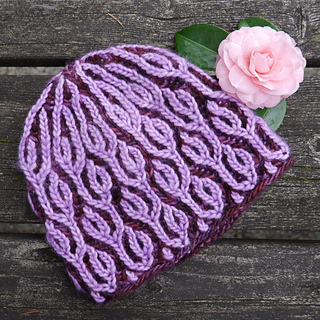 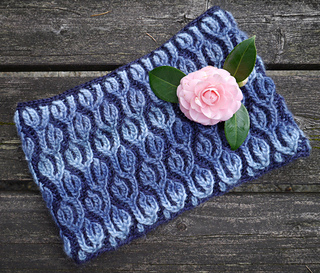 The pattern includes links to four video tutorials, including fixing brioche mistakes.